Yesterday I was searching, fruitlessly, for something to listen to while I attempted to start writing this article. The Top 50 Hits playlist on YouTube was feeling a bit overplayed, so I cycled through some of my go-to classical favorites, and was ultimately left feeling uninspired. Perhaps it was my need for change, or my memory slipping and failing to remind me of something I’d already heard that would be suitable. Either way, everything at that moment felt old, just not quite right. And then, when all seemed lost, I remembered seeing Leoš Janáček’s opera Jenůfa a couple years ago, and I decided on a whim to listen to the first piece of music that resulted in a search of his name. Needless to say for anyone who has gone down that particular rabbit hole, it was around the fourth consecutive Janáček work that I listened to for the first time, that I was reminded of what it is I love so much about the Fall; it isn’t just the cooler weather, although I think we can all agree that sweaters are pretty amazing. Nor is it the changing leaves, even though, as a New Englander, that provokes a genetic response in me that lets me know it’s time to go apple picking. It is, rather, the feeling of things that are new; it is the undeniable inspiration that comes from a renewed sense of purpose, and the energy to tackle new projects that comes from, well, having new projects to tackle. The fellows, along with the Civic Orchestra as a whole, were treated to a whirlwind beginning of the season. I won’t bore you here with all the details, because my colleague Alex is cooking up a much more entertaining look at the first few weeks, which you can find here, to go along with a fascinating pictorial essay available for your perusal here. We traveled, we performed, we spent time in a youth correctional facility and we got to know each other as artists and as people. And, believe it or not, this all really was just the beginning. This season promises to be one of new projects realized, as well as old ones renewed. After a wonderfully successful collaboration with the Scottish Home last year, designed and facilitated by a small group of fellows, we will be returning this year to forge a lasting partnership that will give us the opportunity to bring music and story to residents of the home for years to come. Our work with Storycatchers Theatre and Music in Prisons, two programs that work to combine music with the stories of young people in Chicago’s youth correctional facilities, will continue and, once again, we will be bringing an interactive performance into many elementary schools throughout the public school system, preparing the students for their visit to Symphony Center. We are also gearing up, of course, for another year of blogging up a storm. We began this year with a post from bass trombonist and DIYer extraordinaire Robin Schulze that detailed how to build your very own in-home studio. And from this very website, you, dear reader, can go back to the origins of the Civic blog, and read posts from fellows going back three entire years. You’ve perhaps done this already. You might have even explored all this site has to offer; maybe you’ve read our bios end to end, fascinated by the places we’ve been, the people we’ve met, and the interests – varied as they are – that have collectively brought us to Chicago’s Symphony Center and the greater Chicagoland area. You might have checked out some of our alumni, who live and work across the country doing incredible things every day. You may have watched the documentary about our annual Bach Marathon, and already can’t wait for this year’s edition. Or, perhaps, this is the first thing you are reading on this site, or the first time you have ever heard of the Civic Fellows – if that is the case, check out the article here about what a Civic Fellow actually does, written by Civic alum Evan Hillis. Whether you are brand new to the Civic world, or a lifelong supporter, you, dear reader, are invited to all we have to offer – to our workshops, to our music, and to the words we write here, that hopefully are informative as well as entertaining. 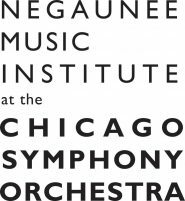 Welcome to our corner of the internet, and, most of all, welcome to the 2017-18 season of the Civic Fellowship, and the Civic Orchestra of Chicago. We’re excited to share it with you.